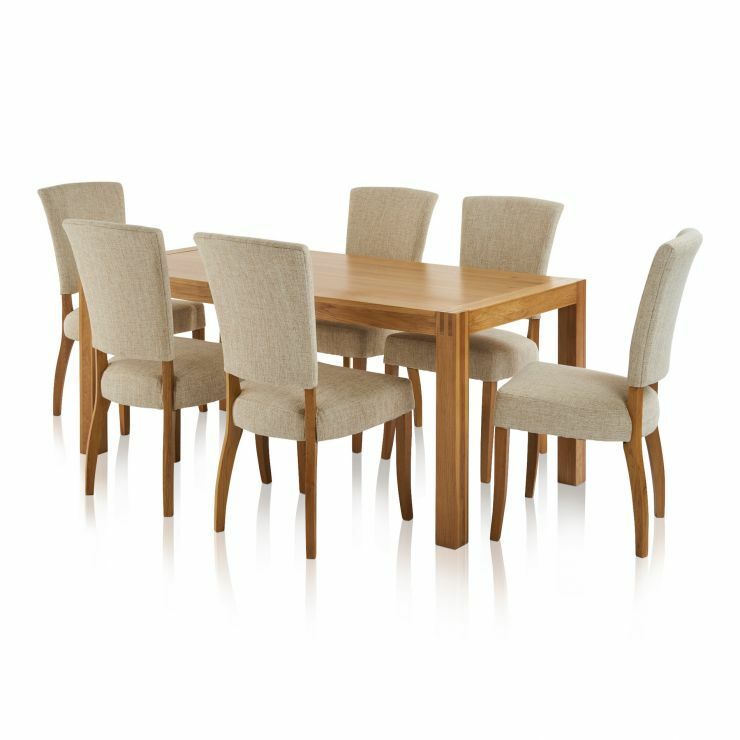 This Alto dining table and chairs set is all about natural simplicity. 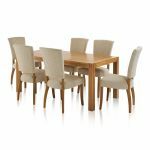 The table is constructed from 100% solid oak with a natural wax finish, which showcases the organic colours and patterns of the timbers. 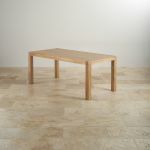 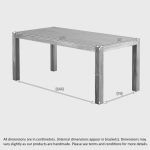 It has a minimalist shape, clean lines and a high-quality construction, which makes it a perfect fit for any modern home. 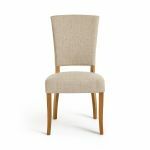 The set is completed with six of our light and airy Upholstered Curve Back Chairs, with a beautiful plain beige fabric which keeps the set looking crisp and elegant. 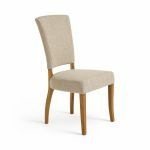 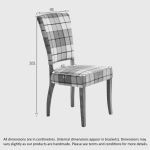 With free delivery to your dining room, now's the perfect time to give your home a stylish new look.